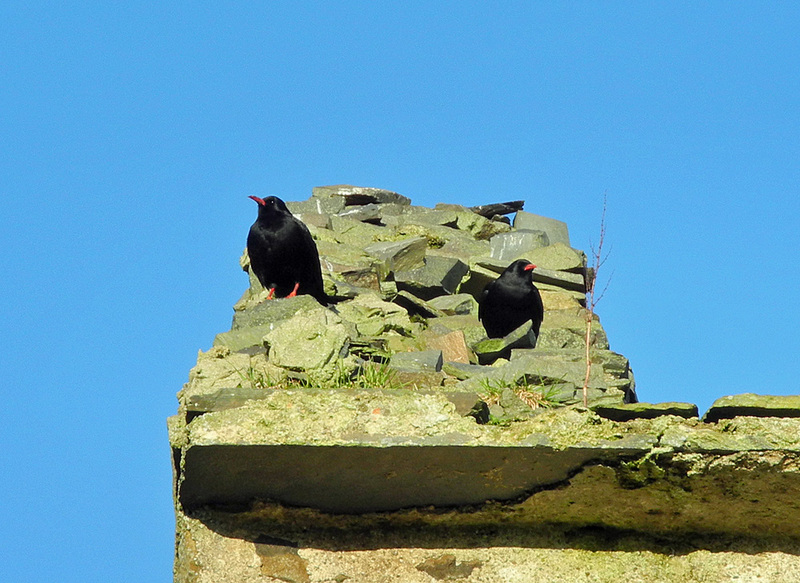 A fairly regular sight, Choughs at Kilchoman, here sitting on the gable of the ruin of Kilchoman church. This entry was posted in Repost, Sunny Weather, Wildlife and tagged Choughs, Islay, Kilchoman, Kilchoman Church by Armin Grewe. Bookmark the permalink.